The destructive thunderstorm in the Köln/Düsseldorf area last night was intense enough to provide rainscatter even on 1.3 GHz. 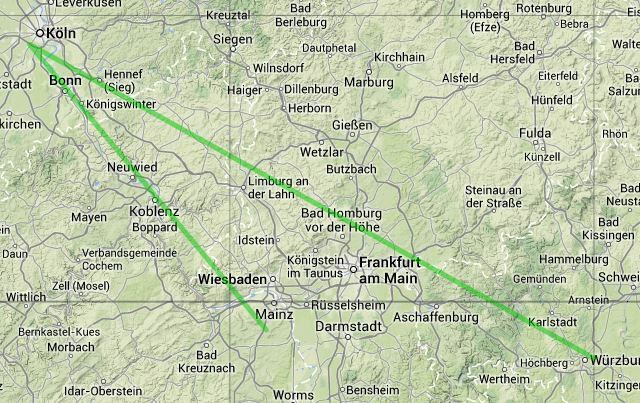 DB0AJA near Würzburg in JN59AS could be heard with the typical rainscatter sound when the dish was heading 325°. An awful lot of water must have been in the air. The total distance of the signal path was about 400 km (150 + 250). The waterfall shows the spread of the signal. DB0AJA runs 20 W output into a 16 element Flexa yagi beaming northwest. 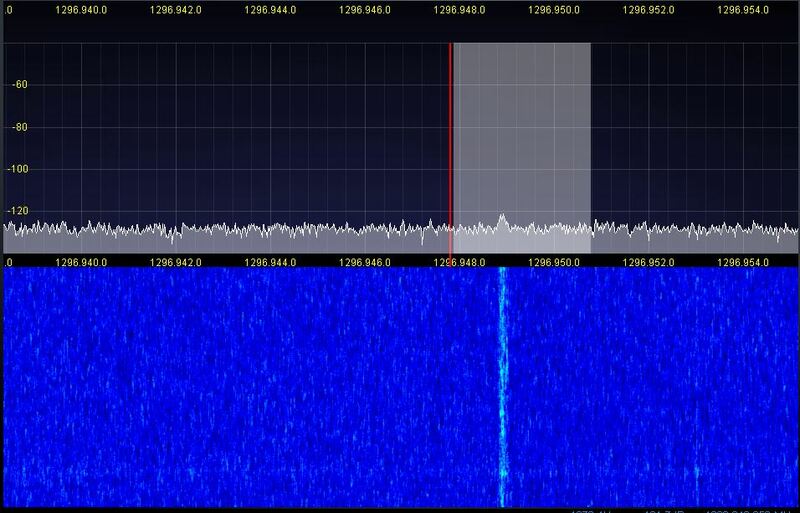 This entry was posted in Beacons, Propagation, Rain Scatter and tagged 1296 MHz, 23 cm, Amateurfunk, beacons, DB0AJA, dish, DJ5AR, JN49CV, Mainz, Microwaves, Parabolspiegel, Rainscatter on 2014-06-10 by admin.